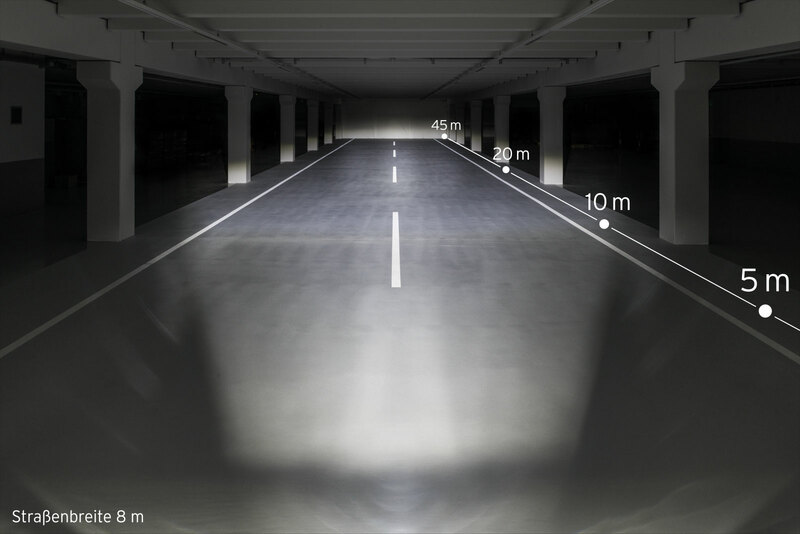 The headlight’s range can easily be adjusted by tilting the Fly’s head – it clicks firmly into the chosen position! Mounting bracket and crew made of stainless steel, rear switch. This premium version presents a very bright, wide and even extensive beam pattern with 80 Lux.